State-owned Production Association Pivdenny (Yuzhny) Machine-Building Plant named after Makarov (Pivdenmash) based in Dnipro, one of the leading Ukrainian producers of space rocket equipment, is developing cooperation in rocket production with southeastern Asian countries, including South Korea and India. A source among leaders of the concern told the Kyiv-based Interfax-Ukraine news agency that today Pivdenmash is fulfilling contracts signed in 2016 on rocket engine with the Korea Aerospace Research Institute, KARI and preparing to expand the partnership. "Work with KARI is being conducted in two areas – the production of turbo pump units and model valves for the RD-8 engine, as well as preparation of spherical tanks with capacity of 130 and 25 liters. In 2017 we signed one more contract for spherical tank production," he said, adding, "The experience of successful cooperation was the reason our South Korean partners wanted to broaden cooperation. Today we are conducting talks about signing another contract for the production of a rocket engine tank, as well as a contract for making elements of a liquid rocket engine for the South Korean rocket engine KSLV-II." In addition, the source said Pivdenmash is also involved in a rocket project with the Indian organization of space studies ISRO. "We signed a contract with ISRO for conducting through 2019 fire tests of Indian liquid rocket engines at the Pivdenmash testing grounds. The first stage of the contract has been successfully fulfilled. 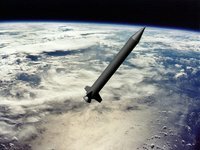 The source said expanding cooperation in the area of creating space rockets with southeastern Asian countries is viewed as one of the areas of the Pivdenmash diversification production program, which is being conducted in conditions following the disruption of traditional cooperation with Russia. Pivdenmash is one of the key enterprises of the space engine industry of Ukraine, known internationally as the producer of rocket engines and satellites used for civilian, scientific and military use. As a result of the disruption of traditional cooperation with Russia due to its annexation of Crimea and invasion of Donbas, for three years production capacity at the enterprise has dropped 50% and is practically at a standstill. As of today Pivdenmash within the framework of cooperation with the U.S. produces the first stage of a new medium class rocket Antares for delivering equipment to the International Space Station under contract with NASA. Ukraine is currently in talks with the U.S. on organizing cooperation in the sphere of rocket production in a project to create rocket engines to replace the Russian RD-180 for the new generation of U.S. Air Force rocket engines.